Small but mighty. 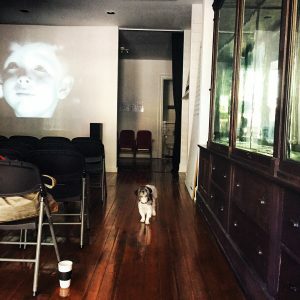 That’s an apt description for Mini Microcinema, the only movie theater operating in Cincinnati’s urban core. The Mini, in the 1300 block of Main Street in Over-the-Rhine, is the brainchild of filmmaker Jacqueline Wood, who brims with energy and invention. Her mission is to show experimental film, video and media, highlighting work by artists and filmmakers outside the mainstream. 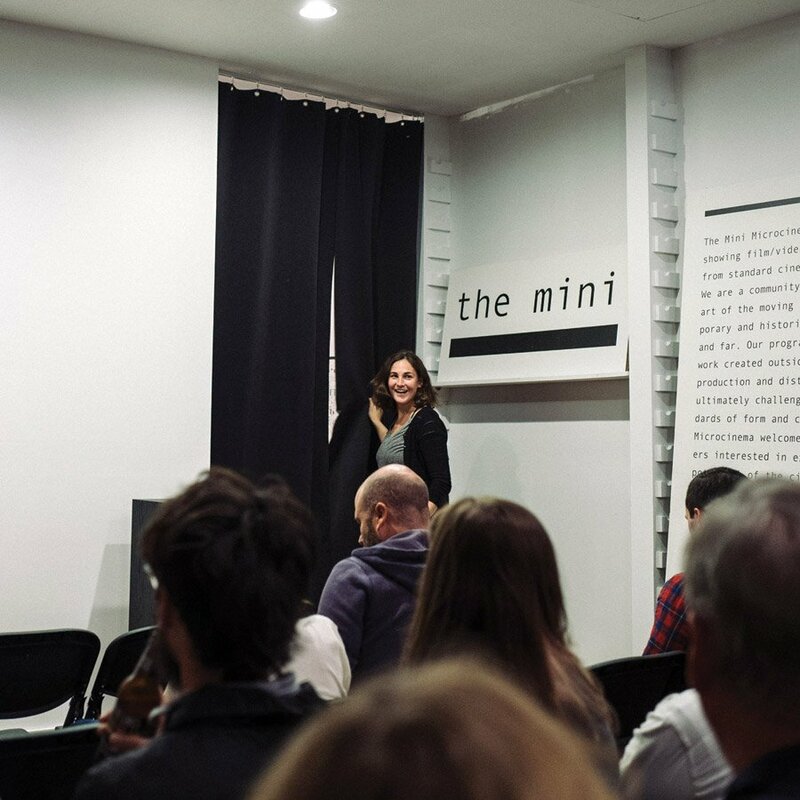 She launched The Mini with a People’s Liberty Globe grant in the summer of 2015, funding an eight-week pop-up movie space in the old Globe Furniture Store near Findlay Market. Fans showed up regularly. A second round of funding moved her operation to The Carnegie in Covington for six weeks last spring. Its permanent home in OTR is a storefront occupied in the 1990s by bead and button purveyor Saint Theresa’s Textile Trove. 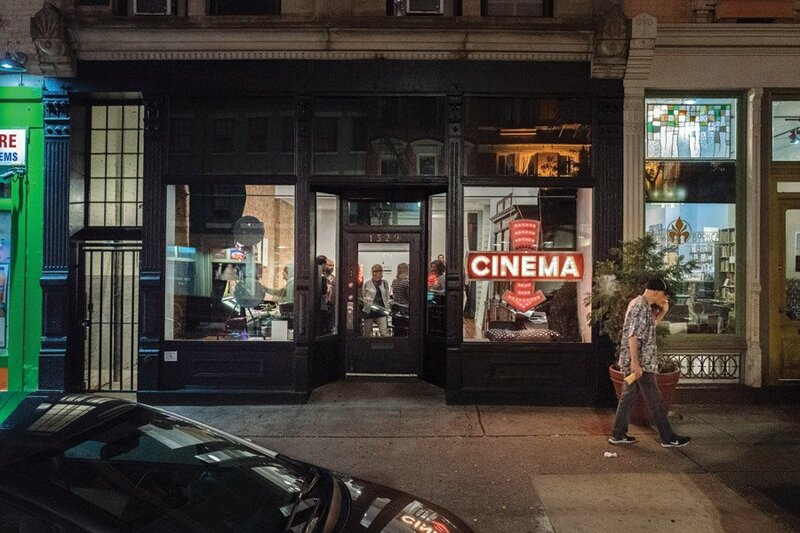 The space has become a mecca for people passionate about pushing the boundaries of film and video. Over the past several months, she has outfitted 1329 Main with handmade curtains and curtain tracks, new lighting and a wall constructed as a projection surface. 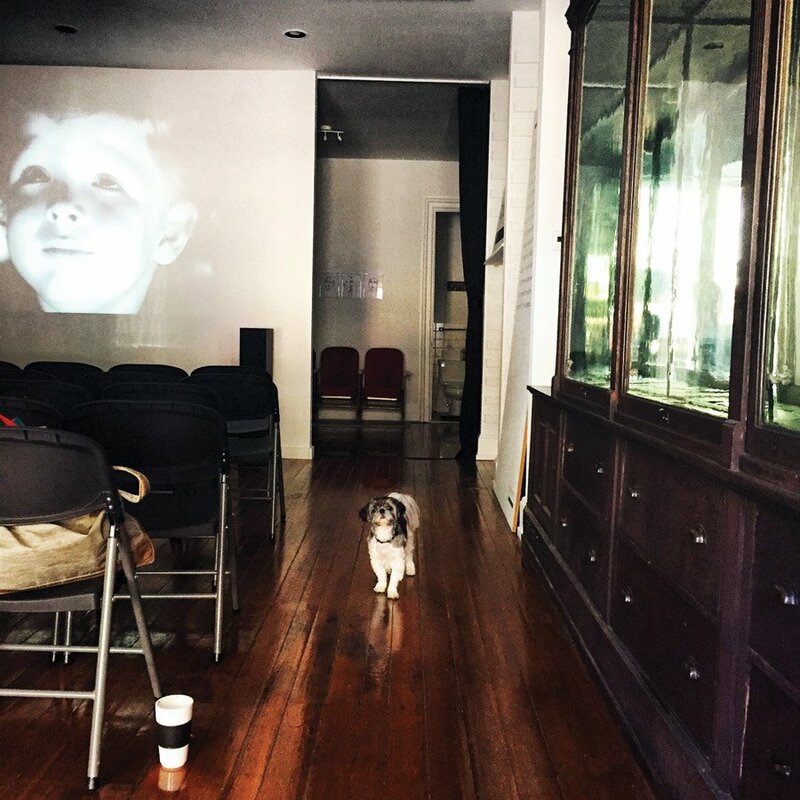 She used some funding for 35 comfortable folding chairs and had help from Perfect Solutions AV, a small home-theater company, to install excellent sound and projection technology. Wood and The Mini’s volunteer team maintains the space – scrubbing floors, cleaning the popcorn machine, bagging candy snacks and doing all it takes to keep the intimate space cozy and friendly. She hopes to expand activities there, especially by becoming a base for other cinema and arts organizations. Rentals could provide future operating revenue. She already is collaborating with numerous film and video groups, including the University of Cincinnati Center for Film & Media Studies. A group called Black Folks Make Movies, headed by Pam Thomas, presents Sunday screenings once a month. While confessing to some exhaustion (“I’ve been doing this pretty much for four years straight”), Wood envisions a moment when she will be the paid executive director with a small staff to help with membership, fundraising, programming, education outreach, a summer camp for kids, a film archive and more. “I have so many ideas,” she said, “a five-year plan. But I have to concentrate on whatever screening is next — making sure there’s enough popcorn and stuff like that.” She’s seeking more volunteers. The Mini’s own night for screenings is Thursday. Wood has featured one of her regular programmers, Julian Etienne, a doctoral candidate in experimental film at the University of Texas. He will be presenting two evenings focused on Latin American artists and filmmakers in March and April. She is working with other programmers and film experts on future screenings, everything from nature shorts and children’s movies to films by Abbas Kiarostami, the late award-winning Iranian director. In late April, she plans to present “The Fits,” a 2016 film shot in Cincinnati that had a brief booking at the Esquire. It received a lot of national attention, including a review in The New Yorker. “I’m sure there are a lot of other people in this town who want to see it,” Wood said.